Take risks, move fast, break things, and fail often. 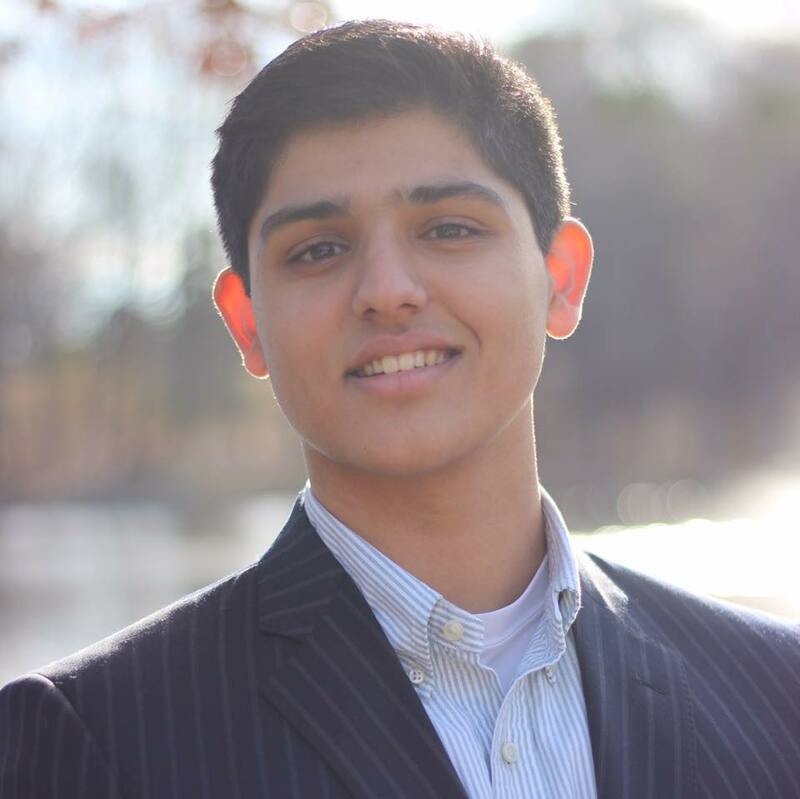 Sudarshan Sridharan is a 17 years old and an investor, entrepreneur, writer, and public speaker. In July 2017, he co-founded Global Analytic; a blockchain (the technology that powers bitcoin) consulting company, where they worked with high net worth and enterprise level clients, utilizing blockchain technology to secure their products and make their businesses more efficient. Before that, Sudarshan was an Entrepreneur-In-Residence at a local Venture Capital fund in Charlotte, NC. He is a Director at The Youth Project which is an international nonprofit that helps many affected groups. Sudarshan also actively invest in stocks and crypto currencies. HE told me he is passionate about constantly learning and progressing regardless of what he is doing and traveling, meeting new people and experiencing new things. I got started by learning to invest in stocks when I was only 9 years old. My parents’ portfolio and personal finances were decimated in 2008 (along with just about every other blue collar worker in the world) and I was acutely curious about the stock market that had wreaked havoc on my household. My dad brought home a book about John Paulson- one of the only guys on Wall Street who’d profited off the mortgage crisis (to the tune of $20 Billion). Credit Default Swaps and Options were too much for me to understand at the time, but my interest in the stock market was piqued. Over the next two years I maintained a fake money Google Finance Portfolio that I started with $1 million in fake money. By the end of the two years, it was worth $423 million fake dollars. Those returns paired with countless PowerPoint presentations convinced my parents to hand over their savings to me so I could manage it. I only received $500, but I quickly grew it to $20,000. In 2016, believing that I had put together an impressive body of work investing in stocks as a 15/16 year old for four years, I reached out to a reporter who profiled me for CNN Money. From there it was off to the races. I’m a networker. I try to leverage anything positive that comes my way into bigger and better things. I’m always asking people how I can help and add value. When you’re relatively unknown or just starting up, add value to everyone and tell everyone what you need. Good things will happen. As for my stock picks, I’ve always been an early adopter, not first mover. I follow the news closely and try to bet on emerging technologies and industries that are tested, but haven’t broken out yet. However, for beginners or people with not much time, I’d recommend simply looking around. Observe what people use. Look at what you use everyday. What are necessities of life? Bet on those. Everyone needs light bulbs, everyone needs food, everyone needs phones and computers. Look for the industry leaders in those fields and look for companies that supply the industry leaders and make bets accordingly. Why not me? It’s simple. Go all in on yourself. Hedging your bets is a recipe for permanent mediocrity. Whatever you’re passionate about, go all in and do it. I move fast, break things all the time, and fail often. People are scared of failure. Even now, I prioritize experiences above all else. If I’m able to do something and learn from it, that’s a success for me. I’m always trying to learn and be as knowledgeable as possible, but I’m not afraid or ashamed to admit that there is most likely someone more knowledgeable about the subject at hand in the room (who I’m ready to learn from and derive as much value as possible). Those who succeed are the ones that are always trying things and always learning. Contrary to what many pundits would say, I don’t think that books are an efficient medium for transferring information. If you want to learn about a subject, the internet is a far more efficient use of your time than books. Back to my initial point, if someone needs to do it, then why can’t it be me? If someone hasn’t done it yet but it can be done, why can’t I do it? People often answer these questions with some combination of “It’s too hard.” or “How can I do it?” If you have the skills, someone will trust in you and bet on you. Take that chance and run with it. In the two years since, simply by leveraging the CNN article as a de facto endorsement of my abilities, I started my first company (which ended up failing, but it was a learning experience), began writing for the Huffington Post, worked with the United Nations, got a job at a Venture Capital fund, co-founded a (successful) blockchain consulting company, gave a TEDx talk, became a director at a large international nonprofit, and have been able to experience things I never thought I’d be able to do. I took my chance and ran with it. If I have the resources to provide my family and people responsible for my come up with whatever they want (experiences or material goods) and if I, regardless of the industry, can do anything I want at the highest levels with the best people in that industry, I’ll consider myself to be successful. Slightly related side note: Money is a tool, a means to an end. If you always just have money, nothing’s ever going to be enough and you’re going to be miserable. Everyone faces failure, but failure is good. People who can’t look beyond their setbacks and are unable to continue progressing are the ones who truly fail. In life and in business, perseverance is the one skill you have to have if you want to succeed and have longevity. I’ve probably dropped what feels like a dozen cliches by now, but I’ll add another one that’s even more important than the rest: it’s not how hard you get knocked down, it’s how you get back up. What is the best piece of advice you have received or came across and would like to share with everyone? I have talked to thousands of people in the 9 years I’ve been doing this. I have had an innumerable number of mentors that I will never forget or be able to thank enough. In November 2017, I tried my best to summarize everything I’ve learned into a ten minute long TEDx talk called The 4 Keys to Success. I’m going to try to summarize my TEDx talk in a few lines. Take risks, move fast, break things, and fail often. Ask people for everything, regardless of how outrageous the ask. Good things will happen. Network. Meet everyone. I say hi to everyone if I get a chance and find out who they are and what they’re doing. Doesn’t matter if they’re at a concert or party or on the street in San Francisco. Everyone has a story and value to add. If you make it your job to derive value from them, you will win. Finally, never forget the Theory of Reciprocity – add X amount of value to get Y amount of value back. Ask everyone what the hardest thing that they’re working on is and how you can be of value. You don’t need a plan to succeed, you just need to make yourself indispensable to the world and the world will take you where you want to be. To learn more about Sudarshan, connect with him on Twitter Here. You can watch Sudarshan’s TEDX talk below.